Is being a counselor for me? 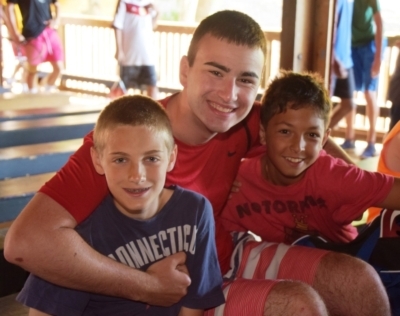 Being a counselor at Camp Taconic is a fun and demanding job. If you are passionate about working with children and helping them thrive and grow, you will be a great fit here. You live and work with children 24 hours a day. The directors, parents and campers have high expectations of all of our staff members. For camp to function well everyone has to work hard. One thing our staff knows is that the more you put into the experience, the more rewards you will get out of it. Where are the other counselors from? Our male and female staff comes from all over the United States, Canada, the UK, Australia, Poland and many other countries. Our community thrives on the diverse backgrounds and cultures, which our counselors bring. We are all bound by one common thread: our passion to work with children. What happens during Staff orientation? All of our staff participates in an eight day orientation prior to the campers’ arrival. 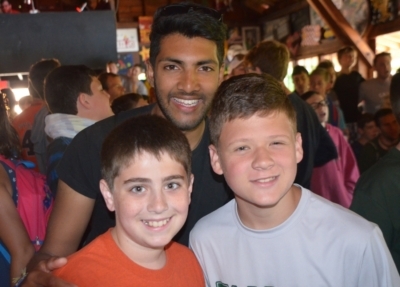 Staff orientation is a wonderful opportunity for staff to ‘live camp’, understand our philosophy and program, get to know each other, and feel comfortable in your summer home before the campers arrive. By opening day, our staff; both diverse in background and experience, with a wide range of interests and personalities; has come together as a family dedicated to the growth and development of our campers. What happens during a typical day of camp? Below is a sample of a typical day. Usually, staff get one 55 minute period “off” during the day. Yes, we have ample parking. Camp provides a travel stipend for staff to get to camp. We pick up from Pittsfield Bus Station, Albany and Hartford Airports. You will be living in a bunk with approximately 10 campers and 3 counselors. We have bathrooms and showers in all cabins. Our Staff is crucial to the creation of a ‘summer home’ atmosphere in the cabins where all campers feel safe and comfortable. We are based in the Berkshires, so we have sun, clouds and rain all in one day! We provide a detailed packing list for all of our hired staff. What do I wear at camp? Camp provides a Camp Taconic staff shirt, which is only required to be worn on special days. Staff can choose to wear what they want that is appropriate for their specific position and for a children’s camp. Staff is usually most comfortable in athletic type clothing. 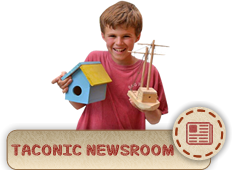 Camp Taconic provides room and board, laundry service, a travel stipend and a camp t-shirt. We provide a competitive salary commiserate with experience, which is paid every two weeks. How often do I get time off? 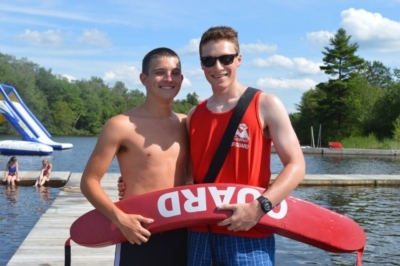 We know that our staff is the key ingredient to a successful summer and happy campers. We will do a lot to make sure your needs are being met and to ensure you have plenty of time to relax and recharge your batteries. Staff usually receives one period off per day plus evenings free from about 10:00pm until curfew, at 1:00am, four nights per week. The Staff also receives five days off over the course of the seven week season. Our staff can relax at camp in the “Admin” , Rec Hall and Staff Lounge where there is internet access and TV. We also offer some late night recreational activities, such as basketball, volleyball and pool parties for staff. Our weight room may be used during leisure time, as well as any of the camp facilities when properly supervised. At Taconic, we make our best efforts to help staff receive enough time to stay healthy, happy and energized. What can I do during time Off? The Berkshires has an abundance of cultural activities. We are 15 minutes from Pittsfield, MA where there is shopping, restaurants, bowling, movie theaters, and more! There are adventure parks and outdoor concerts at nearby Tanglewood. Some staff choose to travel to Boston or NYC which are both about 3 hours away. Yes, we have free WIFI in our Staff Lounge and Rec Hall.